'Marquis of Maffei' redirects here. For Francesco Scipione's brother, see Alessandro, Marquis de Maffei. Francesco Scipione, marchese di Maffei (Italian: [franˈtʃesko ʃiˈpjoːne, marˈkeːze di mafˈfɛi]; 1675–1755) was an Italian writer and art critic, author of many articles and plays. An antiquarian with a humanist education whose publications on Etruscan antiquities stand as incunables of Etruscology, he engaged in running skirmishes in print with his rival in the field of antiquities, Antonio Francesco Gori. Maffei was of the illustrious family that originated in Bologna; his brother was General Alessandro Maffei, whose memoirs he edited and published. He studied for five years in Parma, at the Jesuit College, and afterwards, from 1698, at Rome, where he became a member of the Accademia degli Arcadi; on his return to Verona he established a local Arcadia. In 1703, he volunteered to fight for Bavaria in the War of Spanish Succession, and saw action in 1704 at the Battle of Schellenberg, near Donauwörth. His brother, Alessandro, was second in command at the battle. In 1709, he went to Padua, where he briefly collaborated with Apostolo Zeno and Antonio Valisnieri in editing the ambitious literary periodical the Giornale de' Letterati d'Italia, which had but a short career. Subsequently an acquaintance with the actor Riccoboni led him to exert himself for the improvement of dramatic art in Italy and a revitalized Italian theatre. His masterpiece, the tragedy Merope, 1714, brought him popularity in Europe; it was famed for its rapid action and the elimination of the prologue and chorus. Other works for the theatre include Teatro Italiano, a small collection of works for presentation on the stage, in 1723–1725; and Le Ceremonie, an original comedy, in 1728. A complete edition of his works appeared at Venice (28 vols. 8vo in 1790). In 1710, he spent some time studying the manuscripts in the Royal Library at Turin; while there he arranged the collection of objects of art which the late Carlo Emanuele, Duke of Savoy had brought from Rome. From 1718 he became especially interested in the archaeology of his native town, and his investigations resulted in the valuable Verona illustrata (1731–1732). 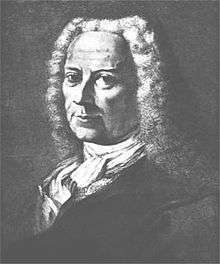 Maffei devoted the years 1732-1726 to travel in France, England, the Netherlands and Germany. In 1732 he went to the south of France for purposes of archaeological research and from there he went to Paris, where he remained four years and was received as member of the Académie des Inscriptions et Belles Lettres. On a visit to London in 1736, he was elected a Fellow of the Royal Society and received at Oxford University, where he was honoured with a doctoral degree; he returned through Holland and Germany to Verona. He was a friend of Francesco Algarotti, who wrote him many letters. On his return to Verona, he built a museum, which he bequeathed, together with his valuable archaeological and artistic collection, to his native city. He bequeathed his collection of manuscripts to the canons of the cathedral of Verona. In later life he became interested in astronomy and physics, and built an observatory to study the stars. The Jesuits requested him to write in defence of the orthodox system of grace against the doctrine of the Jansenists, which resulted in his Istoria teologica delle doctrine e delle opinione corse ne cinque primo secoli della chiesa in proposito della divina grazia, del libero arbitrio e della predestinazione, published at Trent, 1742. The secondary school 'Liceo Maffei' in Verona is named in his honour. He is also known for having written an influential article about the first fortepiano instruments of Bartolomeo Cristofori, which initiated the second generation of fortepiano-makers in Italy at that time. The Italian poet and translator Ippolito Pindemonte published a biographical elegy on his friend. Besides these original works Maffei also collaborated in editions of the works of St. Hilary (Verona, 1730), St. Jerome (1734), and St. Zeno (1739). ↑ Herbermann, Charles, ed. (1913). "Marchese Francesco Scipione Maffei". Catholic Encyclopedia. New York: Robert Appleton Company. ↑ Brendan Dooley, Science, Politics, and Society in Eighteenth-Century Italy: The Giornale de' letterati d'Italia and Its World. ↑ "Library and Archive Catalogue". Royal Society. Retrieved 4 March 2012. ↑ "Teleological History of the Doctrines and the Opinions Current in the First Five Centuries of the Church in Regard to Divine Grace, Free Will and Predestination"; it was published in Latin in Frankfort, 1765. ↑ Arte magica annichilata, 1754. ↑ Calmet, Augustine. Treatise on the Apparitions of Spirits and on Vampires or Revenants: of Hungary, Moravia, et al. The Complete Volumes I & II. 2016. ISBN 978-1-5331-4568-0. ↑ Eleanor Selfridge-Field, "The Invention of the Fortepiano as Intellectual History", Early Music 33.1, February 2005:81–94. ↑ Elogio del marchese Scipione Maffei , 1790.